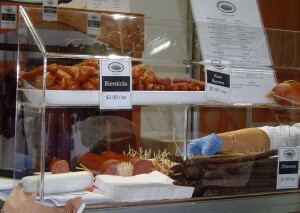 We custom design and fabricate all types of sneeze guards for cafe’s, restaurants, clubs, bakeries, butchers, deli’s, various food stores, market stalls, festivals and exhibitions. 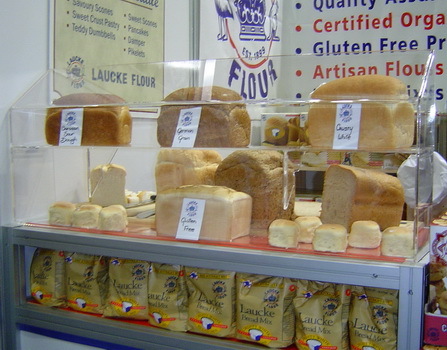 Suitable for protecting cold food, breads & pastries and bain maries, our sneeze guards are made from durable clear acrylic, keeping your food displays clean, safe and hygienic. 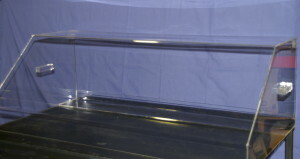 Whether you require a solid, fixed, portable or collapsible design, from a simple, open back sneeze guard, to more elaborate designs with shelving, handles, and doors, we can create the perfect sneeze guard to suit your requirements. Some ready-made designs are also available to purchase over the counter and on eBay. 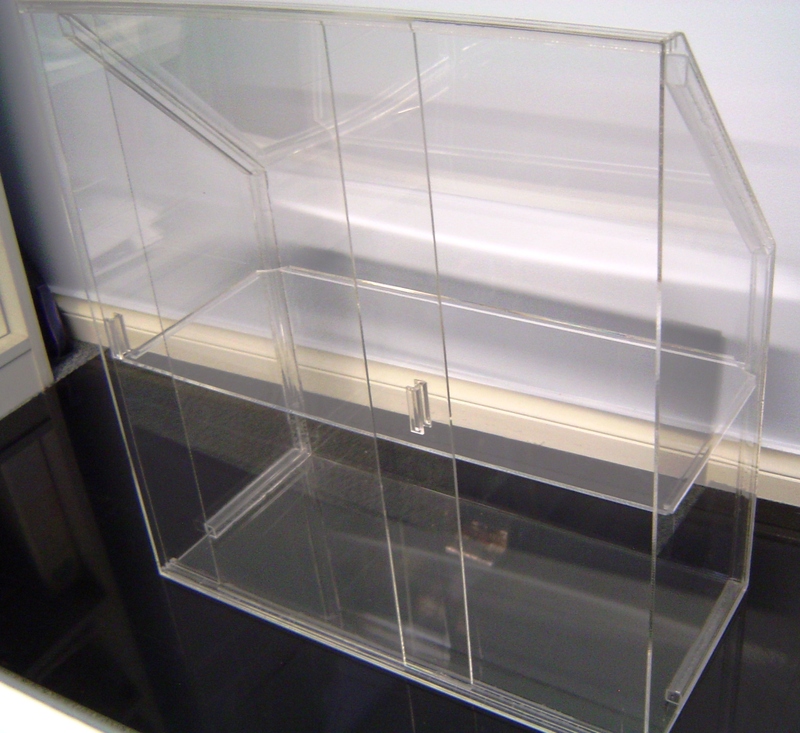 This collapsible, lightweight and portable sneeze guard made from sturdy clear acrylic will safely protect your food and product displays without compromising on style. 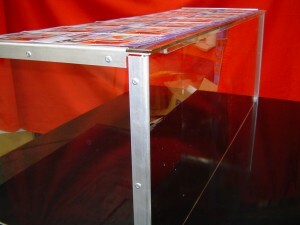 Australian made from quality materials, our exclusive design sneeze guard is easy to assemble and flat packs for easy transportation. 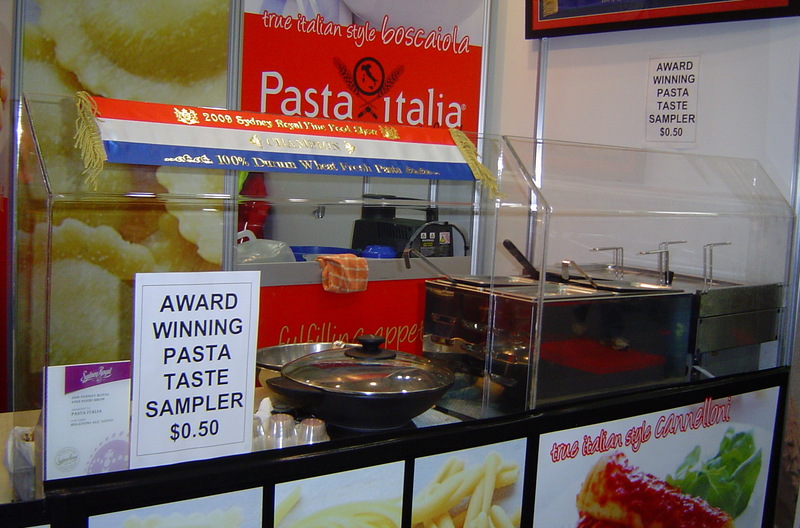 Sturdy and easy to clean, this unique design collapsible sneeze guard is great for markets, festivals and trade shows, as well as counter tops in cafes, restaurants and coffee shops! 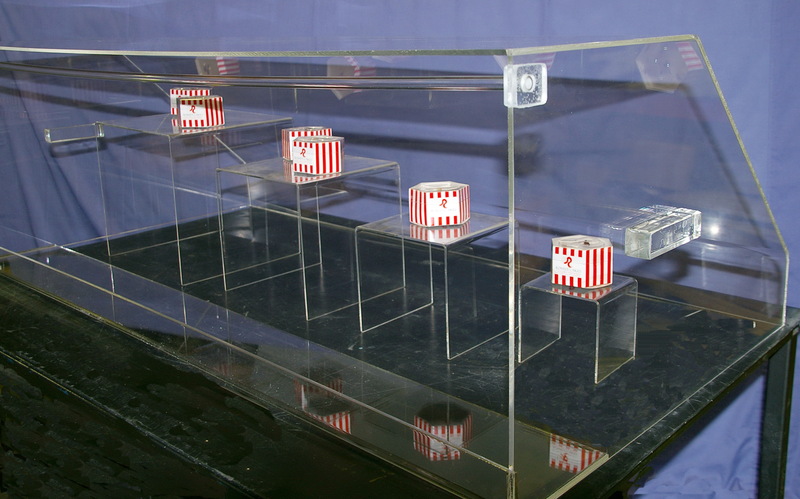 Designed for protecting food displays, this handy design is also suitable as a general protective display case for all types of items. 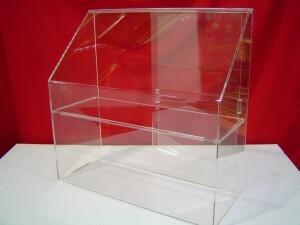 •Open back for easy access, cleaning and re-stocking. 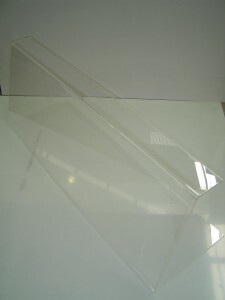 *Please note: This sneeze guard is made from clear acrylic panels. 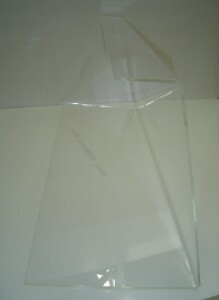 The pictures below show the protective peel off film on the top piece. 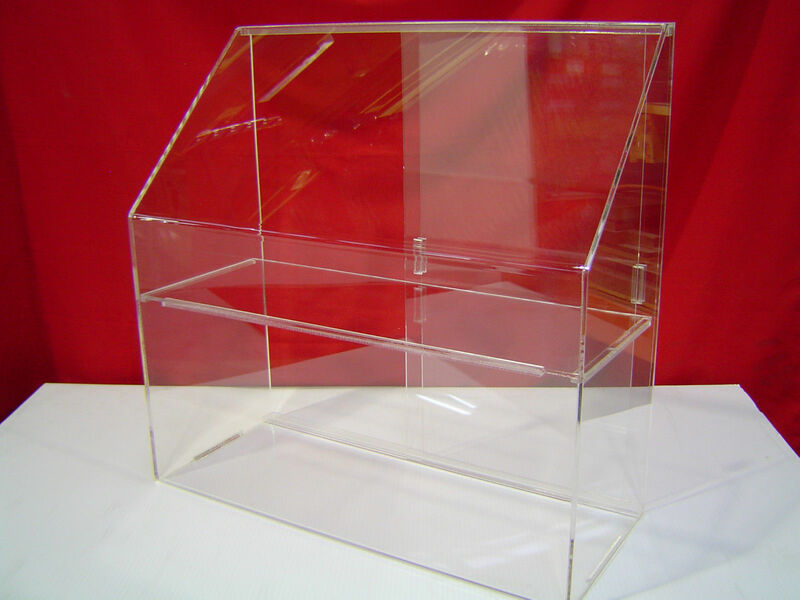 This lightweight and portable display case made from 4.5mm clear acrylic will protect your food and product displays without compromising on style. 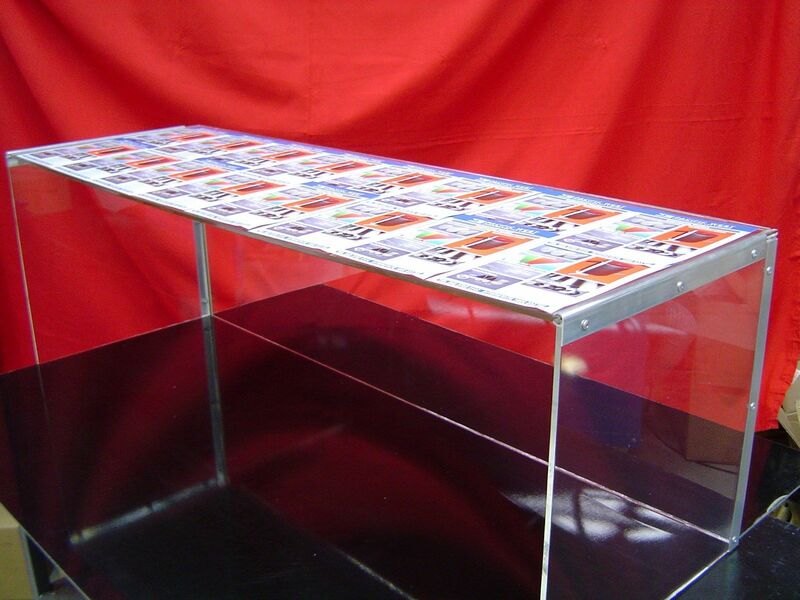 Australian made from quality materials, our exclusive design display case features an angled top for maximum visibility, and is great for markets and trade shows, as well as counter tops in cafes, restaurants and coffee shops! Designed for displaying cakes, cupcakes, muffins, donuts, bagels, cookies and assorted pastries, these versatile display cases are also suitable for displaying jewellery, figurines and all types of small items. 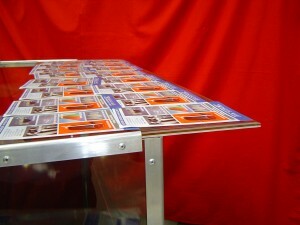 •Rear sliding doors for easy access, cleaning and re-stocking. 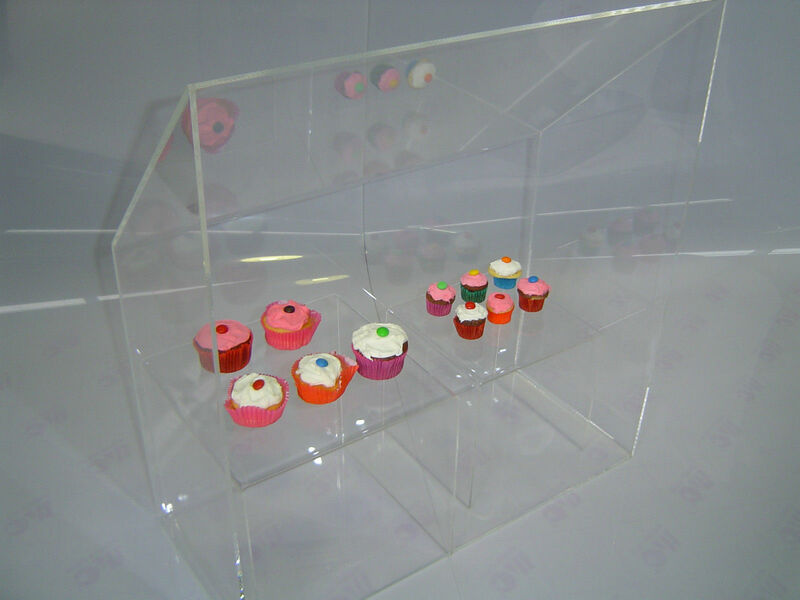 This lightweight and portable sneeze guard made from 4.5mm clear acrylic will safely protect your food and product displays without compromising on style. Australian made from quality materials, our exclusive design sneeze guard features an angled top for maximum visibility, and is great for markets, festivals and trade shows, as well as counter tops in cafes, restaurants and coffee shops! Designed for protecting food displays, this handy design is also suitable as a general protective display case for all types of items. Our new design Budget Sneeze Guards are lightweight, easy to transport, and feature open sides and an open back, providing a barrier at the front and over the top of your product. 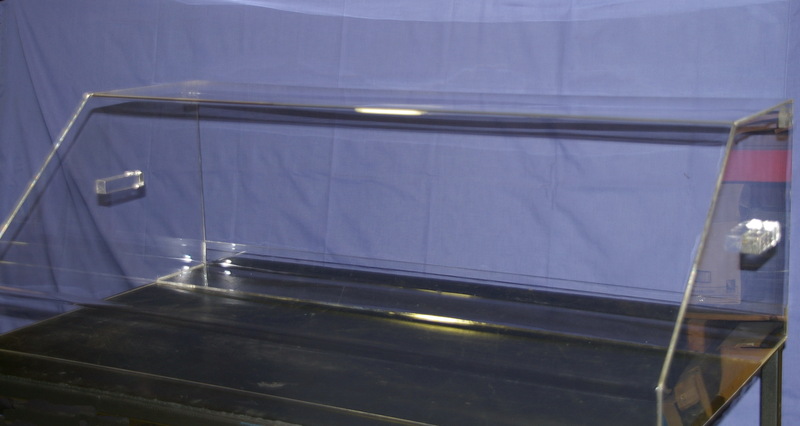 These sneeze guards are made from high quality 4.5mm clear acrylic (Perspex), with a 10 -12 degree sloped front face, and a 90mm top return. All of our Budget Sneeze Guards are made to order. 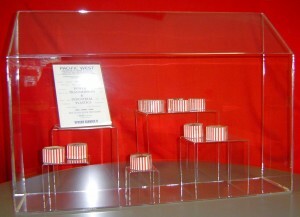 Please allow 2 working days for your sneeze guard to be made. 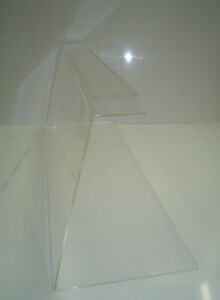 Our Budget Sneeze Guards all have set dimensions, except for the width, of which there are 3 different widths to choose from. 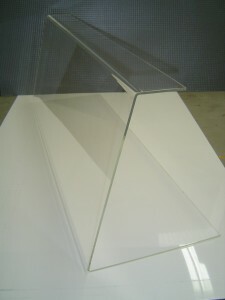 *Please note, all of the above Sneeze Guards feature a 90mm Top Return. 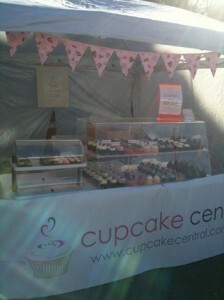 Below are some examples of sneeze guards we have custom made for shops, food stalls, conventions and clubs. 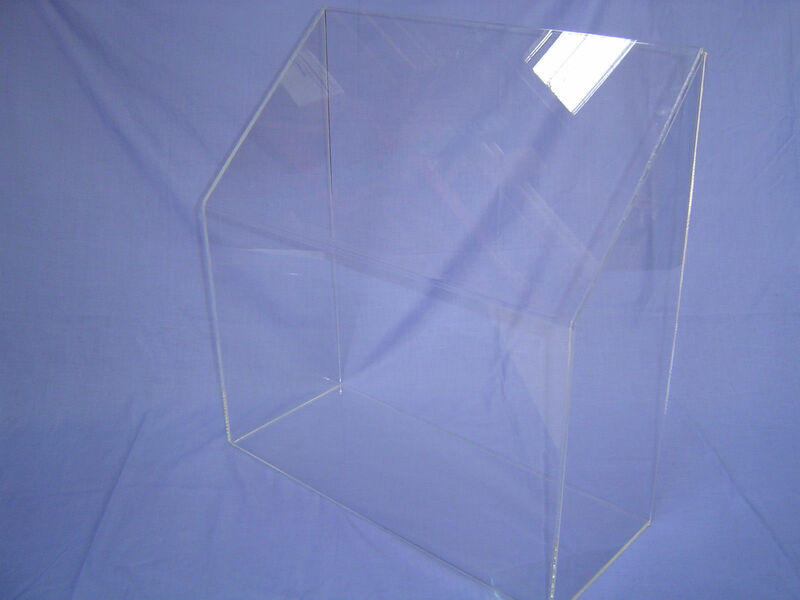 For custom made sneeze guards and displays, simply contact us to provide your space requirements, height, and width, and we will come up with the ideal solution for you.